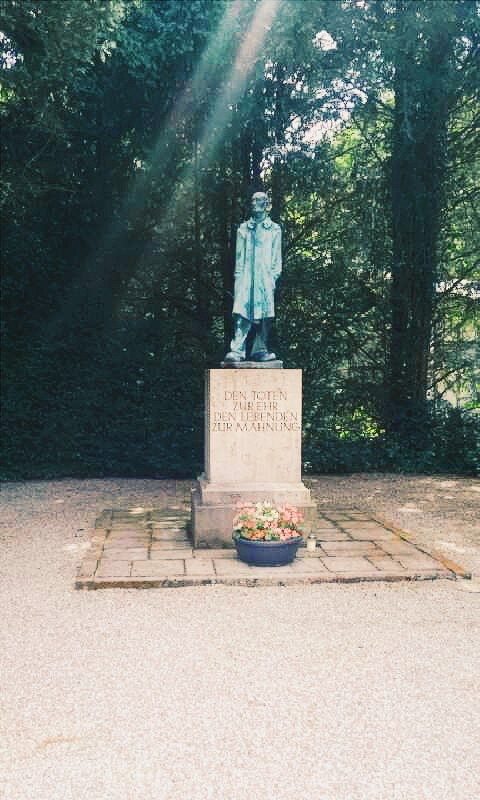 This past Saturday marked the 70th anniversary to the end of World War II, and being in Munich, Germany I had the opportunity to to visit the first Nazi Concentration Camp that opened a few weeks after Adolf Hitler came into power. Dachau Camp opened in 1933 as the model for the several dozens of other camps across Europe that were designed to torture and kill through medical experiments, forced labor, and mass executions. 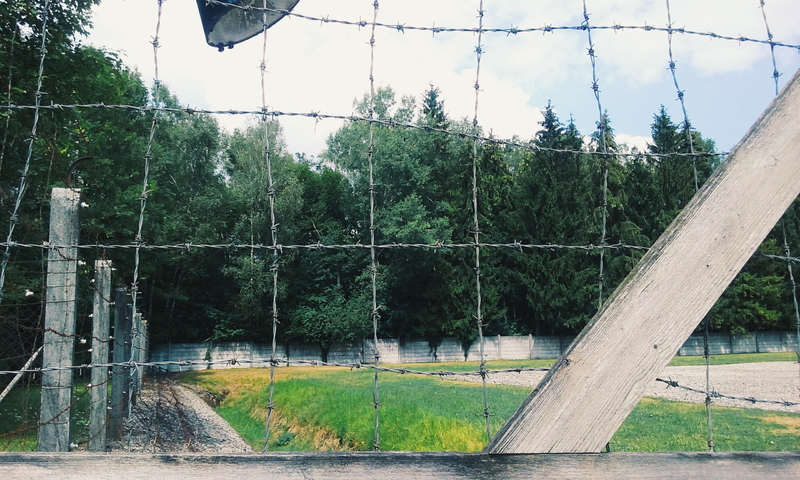 As this was my first visit to a concentration camp, I had an idea of what to expect, but it’s almost impossible to prepare yourself for the somber experience it will be. For this reason, I opted for a tour guide and I highly recommend going with Gordon’s Tours, one of Munich’s only independent tour companies. My tour guide for the day was Jamie, who’s been giving tours for over 9 years. After he first visited Dachau Concentration Camp, it left a deep impression on him. He was shocked, sick, but also interested in learning more about how much pain human beings can inflict on each other and why. Nearly a decade later and he’s still learning; and you can hear the passion in his voice about it. 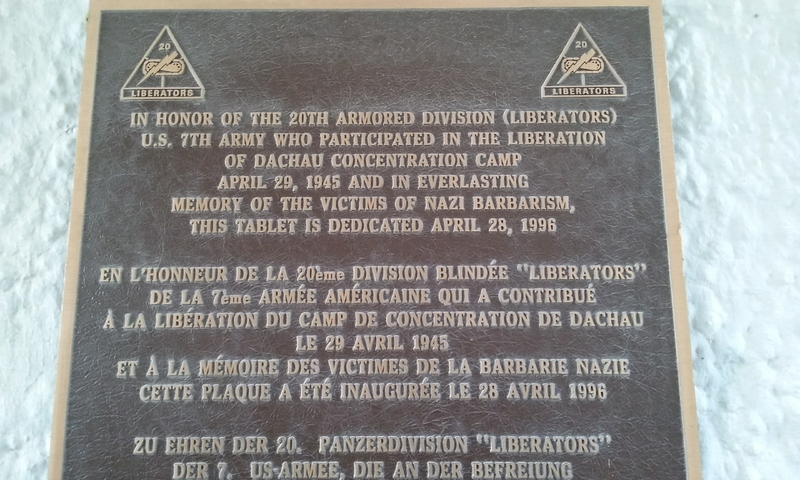 As a part of the training process, he’s been fortunate to meet some concentration camp survivors and their families. And every now and then Jamie gets a guest on the tour who tells them their grandparents died at Dachau and it’s such a humbling experience for him. The museum and the sites of the camp itself are quite large. There are several pictures, plaques, and bullet points to read through, but these are widely circulated and can be found anywhere on the internet. A tour guide like Jamie will help share the small details that are brushed over like the stories from survivors, reasoning behind the SS’s orders, and strategies behind the angles of propaganda photos. In Dachau’s twelve year existence, it was initially built for 6,000 but upon its liberation in 1945, around 32,000 were found — just to give you an idea of how poor and limited the space was for prisoners. On average, they were fed only once every four days, and as soon as some started to track and figure out the light pattern to count what day it was, the guards might trick them and feed them on the fifth day instead. The lights as well as the central heating system were controlled from the outside, so the guards had the power to do what they wanted with them. Keeping the heat and lights off for several days straight was indeed a form of torture. Can you imagine days of complete darkness, alone with your thoughts of fear, hunger, and worry? People were regularly driven to insanity and suicides became a part of the daily routine. Upon arrival, you see this on the gates entering the camp. 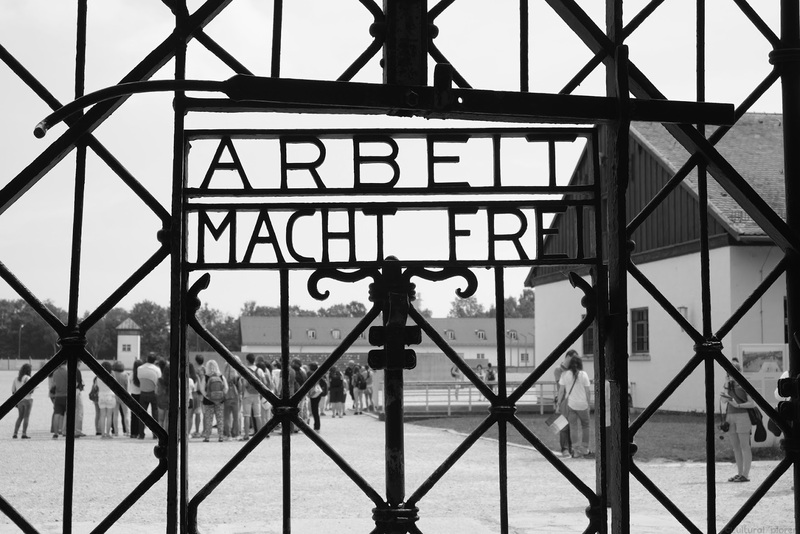 This translates to “work makes you free” which was not only Nazi propaganda, but a bit of a slap in the face to the prisoners, as they would all be working to their death. 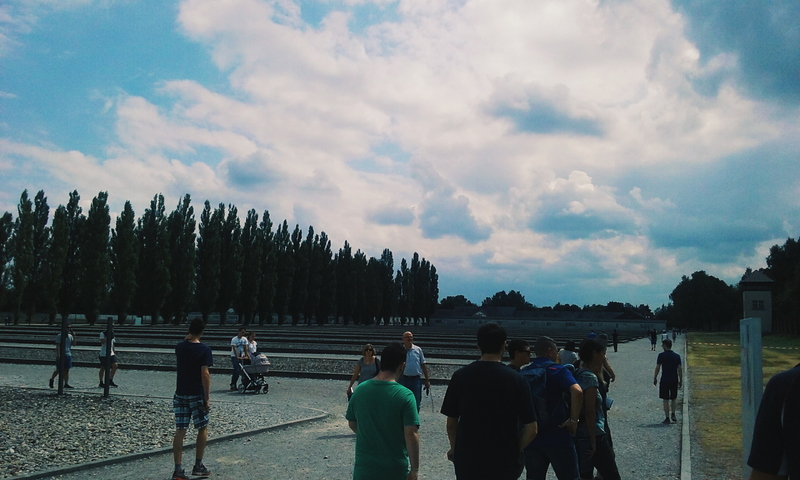 If it’s your first time going to a concentration camp, you want to make sure you’re as respectful as possible, so I also wanted to share some basic tips of etiquette that you should be mindful of when visiting camps, memorials, and other sensitive sites. This should be obvious, but for the love of all things right in the world, why on earth would you want to take a selfie? This is one of the many instances where that would be inappropriate on so many levels. This should go without saying, but after seeing a couple people do it in different areas of the camp, I have to mention it here. With photos in general, museums and memorials are experiences that really can’t be felt through blurry, misframed snapshots anyway. And then after you forget about them in a week, they just take up space on your phone. So put the phone away, take in the moment, respect the deceased, and think about the current family members of survivors and future generations who still visit regularly and would probably prefer this sacred ground to not be used as your next profile picture. Most camps are pretty big and if you’re visiting with friends, I understand you might want to plan what beer hall to visit afterwards or contemplate ways to keep your hangovers in check. Essential things, yes… but can it wait a couple hours or two? And although you’ll be outside for some of the tour, try and keep your voice to an indoor level. There are other people with listening devices and others who are trying to read and I’m sure they’d appreciate it. I’m 25. I’m not entirely sure what should be happening during these quarter-life crisis years, but somewhere along the line my body decided that I needed to double my contribution of salt water to the Earth. Traveling and learning about other people’s stories has turned me into a walking puddle of salt and I can melt on the spot. But of course we all handle information in our own ways, so don’t force or withhold anything you might or might not feel. I knew some of the pictures would be too much to handle, but I didn’t expect the very first one I saw to get to me. At one point I quietly went to a corner and pretended to read a plaque while slowly gathering the “eye sweat” and wiping them away. You don’t need to make a scene. But don’t feel inhibited; you won’t be the only one. 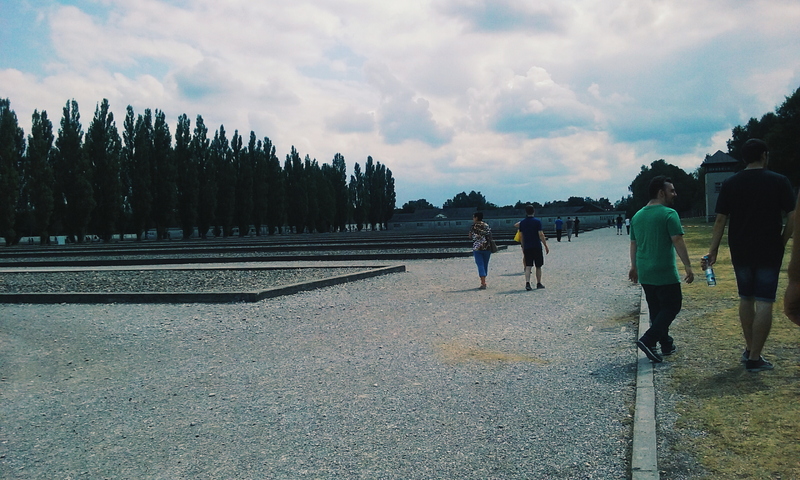 I’m so glad to have had this experience, and I will continue to visit as many concentration camp sites and memorials as I can to pay my respect and also humanize this very real and tragic era of history. In history classes growing up, so much of what we learned felt so distant to me. I could never really grasp a life outside of America because growing up in a very humble home and without ever thinking travel was an option later on in life, I could empathize, but I could never really contextualize. I’m so grateful that I’m able to piece together parts of history and complete my education from learning about events through textbooks and then seeing them up close and in person. Saturday was one of those experiences I will never forget.